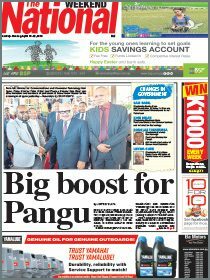 PRIME Minister Peter O’Neill says a new chief executive of Air Niugini will be announced soon. O’Neill was responding to questions by Sinasina-Yongomugl MP Kerenga Kua on the political influence of the management of Air Niugini resulting in operational issues affecting the airline. 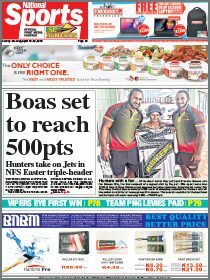 “We have concluded the due process for recruiting a new chief executive officer for Air Niugini. A well experienced industry expert has been identified with a lot of years of experience,” O’Neill said. O’Neill said the minister responsible had got carriage over the responsibility of many of the State-owned enterprises and his briefs came from Kumul Consolidated Holdings where organisations such as Air Niugini provided annual operational plans. “For Air Niugini, the last thing we want to do is compromise safety. Air Niugini has got a very proud record of a very high standard of safety for any airline in the world. It’s second only to Qantas globally,” he said. O‘Neill said Air Niugini had suffered some losses in recent times and there had been a change to bring in more business sense at the board level.